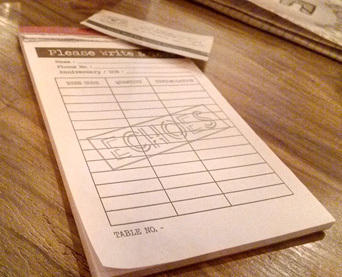 The moment the door to ECHOES opened, we were greeted with a warm smile and gesture by one of the waiters. The reason we planned to visit this eating joint is because it is run by differently-abled people, who can neither speak nor hear and yet are serving customers. 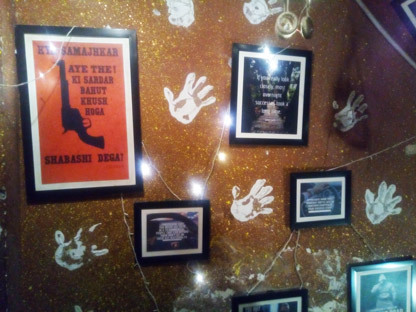 As we were ushered in to the table, my eyes fell on the subtlety decorated walls and the beautiful ambience created to make a guest feel warm and comfortable. A soothing music was playing in the background to further accentuate the mood in that pleasant environment. There is an entire wall that has posters showing different sign language, while another wall has motivational quotes and posters placed on a board. The sitting areas are nicely done, where one can think of spending a few hours comfortably without getting disturbed by anyone. 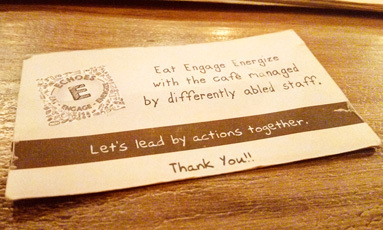 The place aptly lives up to its name – ‘Eat, Engage, Energize’. 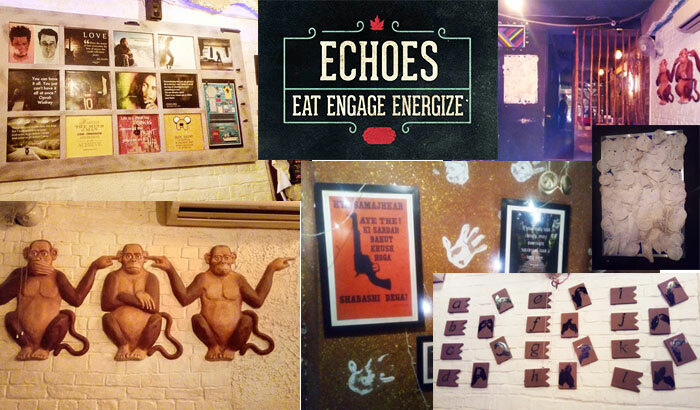 And that’s how Echoes happened, with a theme that was not ‘tried and tested’ earlier and to drive that differential factor, the owners decided on incorporating differently-abled people. For the young owners, it was conceived as a place that someone of the age of 13 – 14 as well as someone from the mid 50–60’s should equally be enjoying. So the target group they cater to is a mixed crowd. It gets people from different age groups and from different walks of life. “What could have been more motivational than seeing a man or a woman who are differently-abled working and serving customers. The hospitality industry has been employing differently-abled people, but they have always been at the backend. We wanted to place them right before our customers, with them serving our customers just like any other person. There was risk involved but we wanted to try this concept,” Kshitij stated. There were some challenges too – like bridging the communication gap. It could have led to situations where there would have been lot of confusion. But to avoid that they started looking for innovative ways. For instance, there are buzzers placed at each of the tables. On pressing the buzzer, the corresponding light bulb placed at the reception counter will light up and the waiter will know which table he should go and attend to. The light bulbs are of different colours and depict the different table numbers as marked on them. “So if a customer at table No. 13 presses the switch, the waiter will know that he is required at table 13 by seeing the corresponding bulb light up and he will directly go to that customer without getting confused,” explained Kshitij. The next task in hand was how to make them communicate with each other? “We realized that a customer at a restaurant generally talks very minimal to a waiter, except for some common things that he wants to know. So we figured out those common things and placed them on placards that you will find on every table and a customer just need to show them to the waiter,” said Kshitij. The placards include very common phrases like – ‘Clear the table’; ‘Call the Manager’; ‘Bill Please’; ‘Thank You’; and so on. After this communication, the next task is to place an order. “We devised an idea where instead of writing the full name of the dish, the customer can write the code from the menu, placed against each item and the quantity they want. If they want any customization to the food they can mention it on a separate column provided. So if a customer wants to order pasta, he simply needs to write ‘P’ followed by the serial number in which the items are placed (1, 2, 3…). We simplified the process to match the needs of our waiters,” explained Kshitij. When asked about the interiors, Kshitij said that the idea came out entirely out of their brains and professional help was taken. “It depicted everything that our emotions were related with,” he said. Just like the concept, the food at this place is amazing too, and it’s reasonable too. 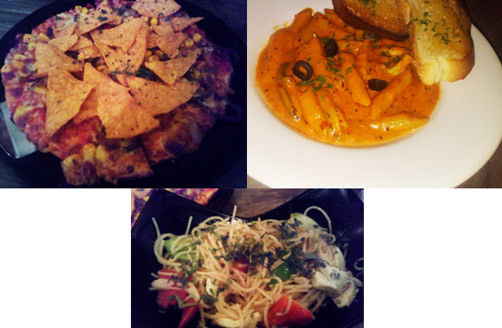 The Menu is divided into different segments – Headstarters, Burgers, Pizzeria, Pastas, Wraps, Echoes Special and others. In Echoes Special, they offer Pepper My Way Chicken (which is a favourite among its guests), Peri peri chicken and grilled chicken steak. Pepper My Way Chicken is served with pepper chicken, rice, mash potatoes and sautéed veggies. We first started with two drinks – Brownie and Choco Death. It was not only filling but also way better than many drinks that I have had in some of the finest restaurants in Delhi. My expectations rose and I was sure that the other items that will follow would also satisfy my taste buds equally. Kshitij helped us in choosing the food. But since it was a Thursday, we decided to stick to vegetarian items. 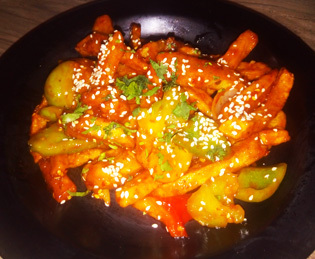 Along with our drink we ordered honey chilli potatoes (crispy potatoes fingers tossed in honey chilli sauce). 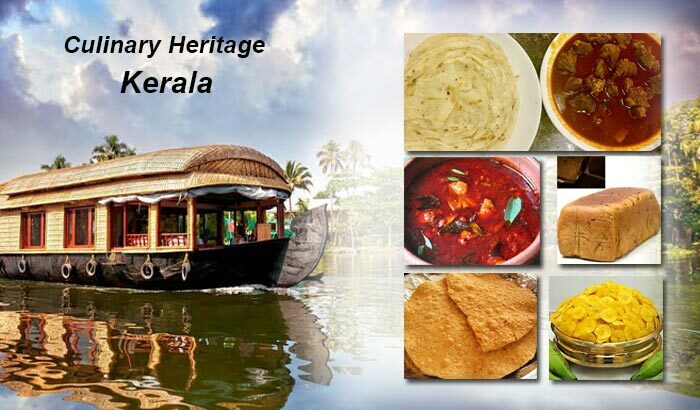 Drums of Heaven and Schezwan Mushroom are other two very popular dishes which I plan to taste on my next visit. We also ordered Hakka noodles, pasta and pizza. In pasta, we ordered the Pinkworld, a fancy name that the restaurant has kept to entertain the guests with good, twisty, tasty pasta. In pizza, we were confused between Mexican cowboy and Paneer Makhani as both looked delicious from the ingredients that are mentioned in the menu. But we finally settled in for Mexican Cowboy Pizza, that was topped with Nachos and we were really happy with our choice. Just like Kshitij was saying that they were moving in the opposite direction. 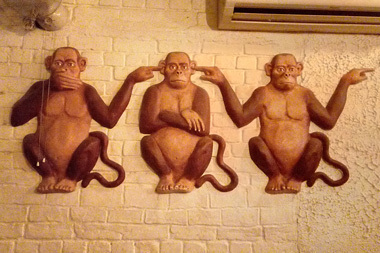 “When you open a customer-centric business, you try to simplify the process for your customer. But we were doing just the opposite and making it more complex for them. 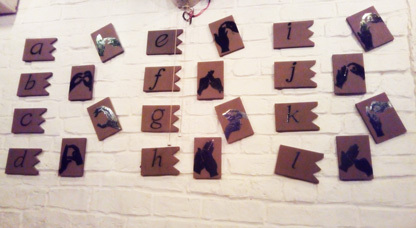 We were quite reluctant at first, but then we were very hopeful that this idea might strike a chord with our customers. And they sure did. People how much professional they can be, they still have that compassionate corner for a person,” he asserted. But they are also of concern that people should not think that they are trying to make use of such kind of people. “We were just trying to give them that platform from back-end to the front-end,” he reiterated. The staff is currently working on the services front, but the owners are gradually trying to train them in the kitchen, the managerial tasks and bar section. Their ultimate goal is to get this place managed completely by these people. “We initially started with 3; now 6 of them are working with us. We are also encouraging women employees to start working for us. We even started learning their language so that there is no communication gap between us,” he said. 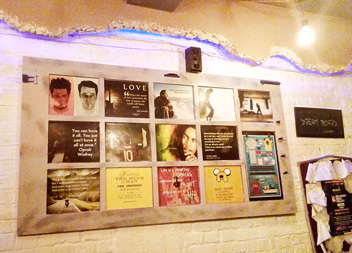 The response from the guests are motivating them to push their limit and open up another food joint in Koramangala, Bengaluru by the same name but on a larger scale in an area of 2300 sq ft. There they are seeing the need to hire a staff of 17-18 people, out of which 3 women employees have already been appointed. “We are pushing ourselves there on the food part too. 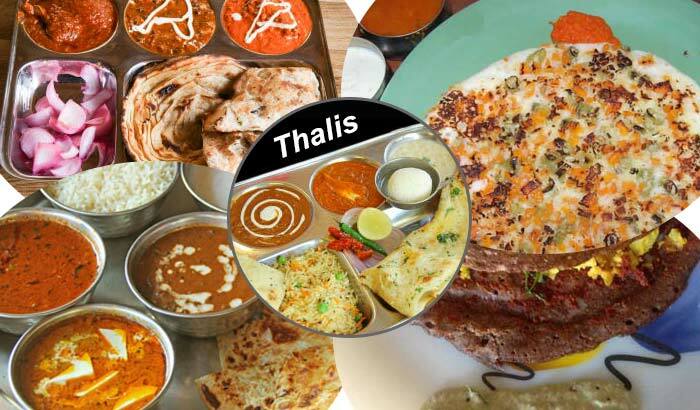 Like here we don’t serve Indian food, but there we are serving Indian food but in a continental way.” They are also coming up with a bar in next 2-3 months in Bengaluru which will be managed by the differently-abled staff completely. 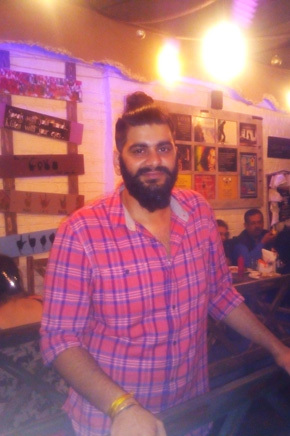 The eatery they are planning to come up in North campus would be even bigger, around 2700 sq ft. “We are targeting North campus and other major markets of Delhi; it is our plan to move ahead with at least 10 outlets by end of this year in and around Delhi so that we can maximize our reach. The construction work going on around the market is a big challenge that the whole market is facing. But in spite of that Echoes has been able to retain the hold, not because of their service but for the complete experience. 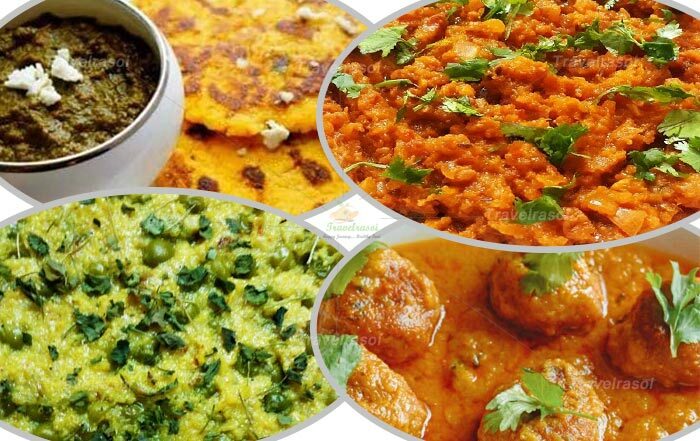 “We focus on our food equally; we do not let it lag behind. They should not feel that the concept is much more advanced but the food is lacking. We are here to sell an experience as a whole. The best part in these 1 and a half years has been the blessings that we have got. It keeps us on the track of going on and excelling,” concluded Kshitij. People were starting to pour in gradually, mostly youngsters, when we first went in. But by the time we had finished our food and chatted heartily with Kshitij (one of the owners of Echoes), the place was already abuzz with action, with both young students as well as families seen coming to the place to enjoy a meal. Food and drinks were being served and everyone seems to be having a gala time. But even in a busy environment like this, the waiters were attending to the guests with such efficiency that for a moment they did not seem differently-abled to me. That indeed drives a beautiful message to everyone – that if they being differently able can work so wonderfully, why cannot us; why do we keep looking for an excuse when we are in no mood to do something? We need to learn a lot about life from them. 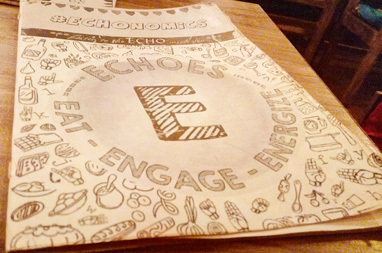 Share the post "Experience a Different ‘World’ of Food at ECHOES!"